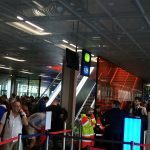 "rude and extremely disrespectful staff"
Not Verified | On my travels all over the world I have never experienced such rude and extremely disrespectful staff, especially the security screening. I will never set foot again at this awful airport. This is the worst airport in the western world. "the worst service I have ever seen"
✅ Trip Verified | Literally the worst service I have ever seen. The lady at baggage claims services was super rude. We have been waiting at baggage claim for over 2 hours, with no information on our flight and their luggage offloading. Flights arriving after us have gotten their luggage and we have not. Never want to land here again. 0/10 for service and extremely didsapointed. ✅ Trip Verified | I arrived on 6 Dec 2018 and was immediately less than impressed with the entire experience. The seating was scarce and the signage was poor. The fact that you couldn’t buy food in the “departure” area when you just arrived is ridiculous. Sorry for being hungry after an 8.5 hour flight. Then when I got to the rental car pickup no one could help me. I had made a resevation under the Spartan Race which 1000s of other racers did as well yet no one at the airport had any clue of that. I stopped at 3 rental agencies that said “I don’t know. It’s not ours”. The very useless advice from the information desk was, “ I don’t know. Buy a sim card” thanks. After waiting 4 hours, my agent confirmed my reservation with none other than Hertz which I had gone to before. Of course they were apologetic and excuse ridden this time around. However, their incompetence caused me to miss one of the tours I was schedules for. Amazing considering I had five hours and yet the wonderful airport managed to waste all that time. This is by far the worst managed airport I’ve been to. And that’s including Newark, JFK, LAX, SFO and so on. So good job Keflavik. At least you did well in one thing. Not Verified | First time in Iceland (transferring to Dublin) and have been consistently disappointed. Smoking area is disgusting even by smoking area standards. The restaurants take every currency but Canadian dollars and one must travel through a lengthy passport check area and back, potentially missing the connecting flight, in order to exchange money. Why there is not a more easily accessible bank located on the main floor with the shops is beyond me. Additionally, I found the staff I encountered to be cold and limitedly helpful. The experience makes me rethink my desire to plan a trip to Iceland itself. ✅ Trip Verified | Most organised airport I’ve ever been too. Off plane, baggage collected, security passed and on coach in under 15 minutes. Easy to navigate thought out design with polite staff. Very clean. Not Verified | This my 7th time in Reykjavik and I have travelled all over the world. Keflavik airport is the most uncomfortable airport to wait in for more than 4 hours that I have ever experienced. My transfer was 11 hours. There were more than 100 people trying to sleep in the airport, but with only metal and wooden seats it is impossible to get comfortable. The airport is set up specifically for transit travellers, but, make no accommodation for them. The airport is very noisy through the night and all seating is in the vicinity of outer doors so it is very cold. You can only sleep on the floor or sit upright all night. Airports that experience a lot of in transit passengers at least have padded seats. I have gone into Reykjavik on 2 occasions, the bus is expensive and so is the city. The hot springs close to the airport are not worth the time or money. So, you are stuck in the airport. I do it to save money, but, sometimes saving money is not worth the wait or hassle. What I saved in money I spent on baggage and waisted time. It is time for better flights and better airports. Not Verified | We arrived at Keflavik airport on October 9th and we truly felt like cattle, standing in a group, having to walk up many stairs to get to our plane. There did not seem to be any guidance. Coming back on October 31 was worse. We had a 4 hour wait. The cafeteria has very little for a vegetarian. The two salads left in cooler that did not contain meat were pathetic looking. The line ups to pay at this cafeteria were snaking around making it difficult to even see what food was available. There is not enough seating for passengers at their gates. Once more there were hordes of passengers lining up and not even knowing if they were in the right line. There was no order to this system. This airport is not obviously adequate to handle the amount of traffic they receive daily. We truly will try our next flights so they will not involve this airport. ✅ Trip Verified | True. It’s unorganized, crowded, bathrooms are in the basement. The greyhound bus terminals I had in college were nicer than this place. Hopefully your not staying long, but you will be standing in line. 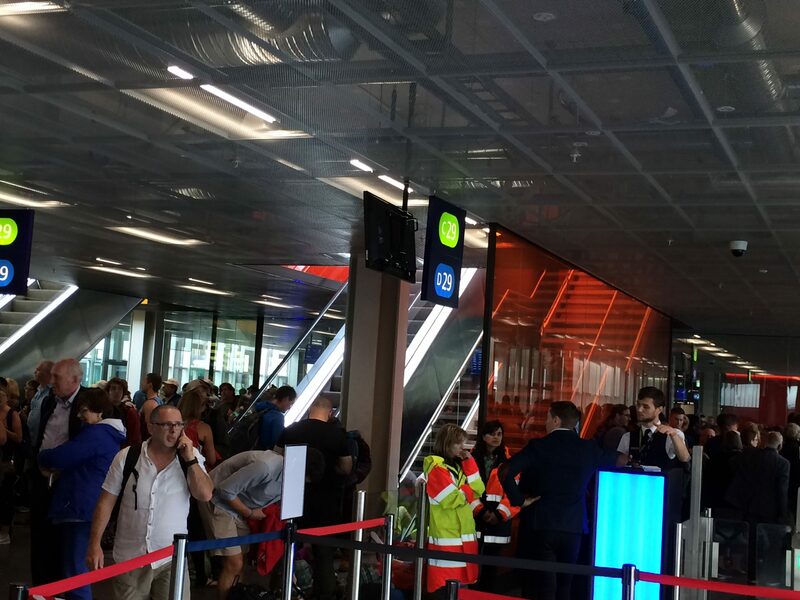 "dirty, smelly and chaotic airport"
✅ Trip Verified | A dirty, smelly and chaotic airport, I had an unpleasant time when I transit through Keflavik airport this month. We were debarked on tamarack. Initially I thought the terminals were not available. In reality the taxiways were blocked by containers thrown all over the places. Even the bus had to go around those containers. Inside the airport I was hit by a strange smell which I realized came from the washroom near by. The airport was crowded, disorganized and confusing. The official had no clue to give you right direction. At the boarding gate were two seats only. There were several boarding gates close to each other and line like a rugby scrum. Prices in the airport are three times more expensive than Paris. Not Verified | The most terrible airport I have ever been to. Avoid if you can. Disorganized and very small for number of people that the airport ‘serves’. Lines everywhere, no seats are available. Flights are delayed.